Welcome to West Side Baptist Church. Â The Theme for our church this year is "Together". Â With Christ as our hub we are focusing on following the Great Commission "Together" to reach souls from out side the front door of the church and reaching around the world through our missions program. We would love for you to join us and work side by side Together to accomplish the Work of the Lord. Â We feel there is much to do and not enough time to do it all. Â Would you come and be part of our team (FAMILY). Pastor Joe was saved while in the U.S. Air Force in Abilene, Texas, and attending Trinity Baptist Church, July 1980. When he felt the call of God on his life he got out of his military service as quick as he could so he could attend Baptist Bible College in Springfield, Mo and start working in the ministry. This is Pastor Joe's fifteenth year as the pastor of West Side Baptist Church. Since arriving in San Angelo in 2001 the Lord has really been blessing. 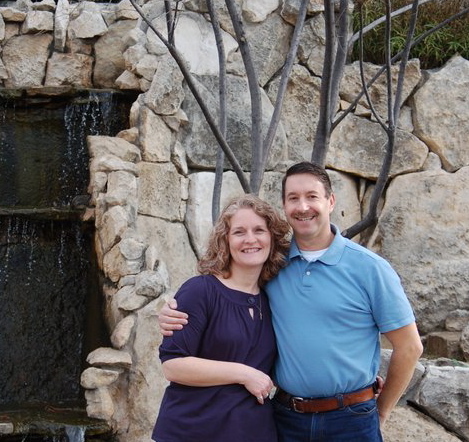 Before coming to San Angelo Pastor Joe served as the youth pastor in San Antonio at Grace Baptist Temple. Pastor Joe and his wife Tammy have been married since May of 1981. They have two children Bradley, 30, who has graduated from Baptist Bible College in Springfield, Mo, the alma mater of both his parents. Their daughter-in-law, Brianna, joined the family on May 22, 2010 and she and Bradley are living in Mesquite, Texas. They are parents of our two grandsons, Grayson born Oct 2, 2013, and Henry born May 9, 2015. Pastor Joe and Tammy's second child is Brittany, 22, and she is home right now from attending Baptist Bible College in Springfield, working toward a degree in Counseling. Brittany is currently taking on line classes from Liberty University entering into her Junior year.